Big Eddy is back, but this was my first experience with it. Appropriately named, Big Eddy is a BIG beer. 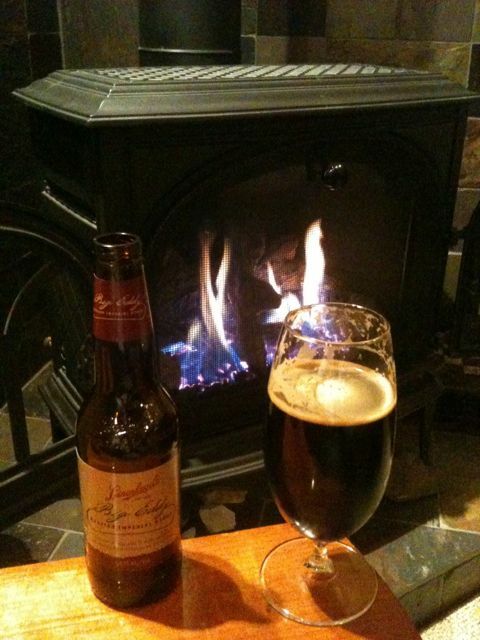 The name Big Eddy comes from the spring that has fed Leinenkugel since 1867. First released in 2007, this beer is only going to be available for a limited time and if you like imperial stouts you’re going to want to go find some now. I think the perfect time to enjoy an imperial stout like this is on a cold, quiet, winter evening sitting by the fireside. I loved how this beer poured with a dark tan, thick head. The Leinenkugel beers I have had have been consistently quality beers although also simple in profile, but not this one. This imperial stout was dark and very complex. There were many layers of malt from rich and sweet to the rich coffee and mocha flavors. The roasted malts and hops balanced the beer while the alcohol heat that followed gave each sip a finishing spark. I thoroughly enjoyed this beer, especially watching the lacing on the glass as I drank it. Big Eddy Imperial Stout is 9.5% ABV and this year it will have wider distribution than it had in the past. Our readers in the Wisconsin, Minnesota, Illinois, Michigan, Indiana, North Dakota, South Dakota and New Jersey, as well as Atlanta and Phoenix markets should look for it. 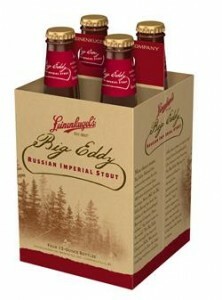 Leinenkugel has also released in the past for a limited time Big Eddy’s IPA – I can’t wait for it to come around again! Big Eddy Russian Imperial Stout is brewed with 11 different malts including Munich, Carmel, Chocolate, classic Pale and Pale Ale, providing a rich, dry character, perfectly balancing Big Eddy’s hoppy assertiveness. Warrior, Summit and Glacier hops create a bold tribute to the characteristic intensity of the flavor. The beer is reminiscent of the 18th century Russian Imperial Stout style that contained extra malts and hops to act as preservatives during long voyages from England to Russia, where it was served in the royal court.